Kavdi Pat lies 15 km on the outskirts of Pune city. It lies on the Solapur Highway NH 9. It is on the banks of Mula-Mutha river near Pune.It consists of dry lands and wetlands with some forest like area and farms as farming is the main occupation. 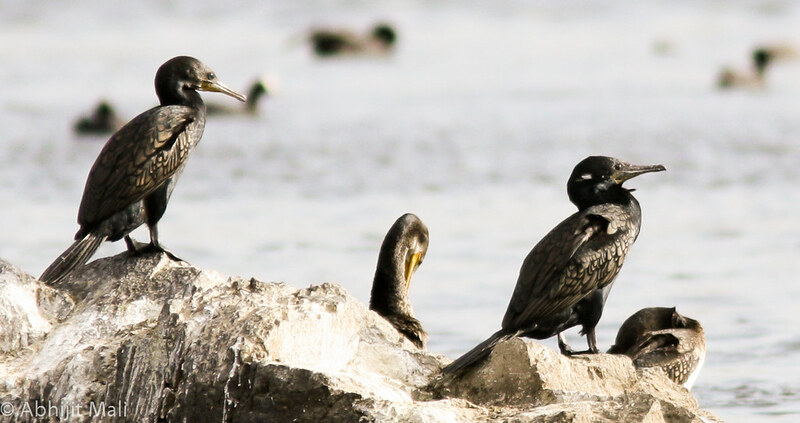 A great variety of birds are found in Kavdi Pat and a lot of migratory birds also migrate during winter and some of them have started living there as a home. It is a natural habitat for birds and lot of birds thrive there. It is a natural bird sanctuary. I live in Manjri, Pune which is near from Kavdi Pat and quite often visit Kavdi Pat. It is beautiful place and other than birds I have also seen beautiful landscapes during morning and evening time. The people here are very friendly and have good knowledge about birds. The Purple Sunbird is a small sunbird. They feed mainly on nectar and insects, especially when feeding young. They have a fast and direct flight and can take nectar by hovering but often perch at the base of flowers. 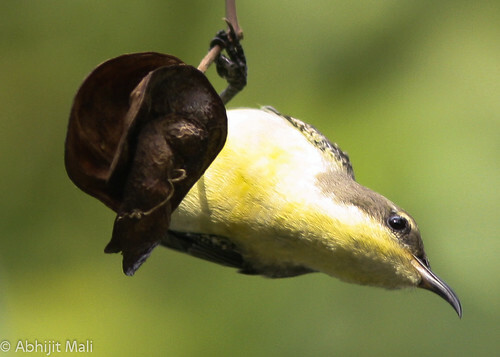 The male purple sunbird has two distinct types of plumage. The breeding male is characterized by the metallic bluish-black body, and the tuft of crimson and yellow feathers under each wing. Females are olive above and yellowish below. The non-breeding male (below) purple sunbird has a much duller plumage know as the ‘eclipse plumage’ that is similar as the female, and have yellow underparts and a dark line of feathers running down the center of the throat and breast. 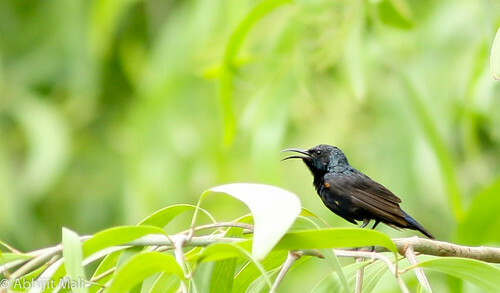 The purple sunbird female (above) have indistinct super-cilium behind eye. The photos of the purple sunbird have been taken near my home. 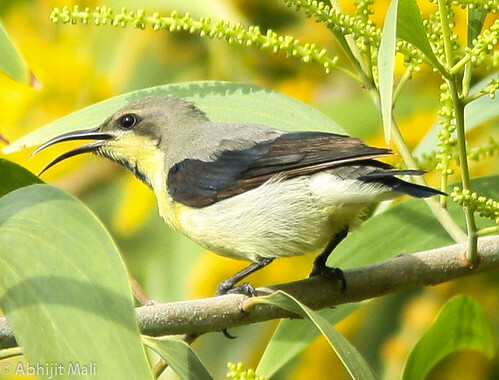 They come everyday in search for nectar on trees and their calls include a “chwit” or “chwing!”. In the morning they wake me up with their rapid rattle followed by ringing, metallic songs.